Surf in the Adriatic is a very fickle thing indeed. What is required is a major weather system to drill around at the entrance of the Adriatic around Albaniato send anything resembling swell up into the northern reaches. This can and does happen from time to time with Montenegro’s coastline making the best of these conditions. Ulcinj is Montenegro’s main spot and is ideal for beginners and intermediate kite-surfers due to its broad beach, waist deep water and the steady side-onshore wind. The sea floor consists of fine sand without any rocks or reef. From May till September the Albanian Alps in the south cater for super steady thermal wind that will hit the coast in the early afternoon with 18 to 25 knots. In kite sizes this means usually 8 – 12m at high season and bigger kites beginning at 12m for off season. Perfect news for all the party animals and the not-morning-people among you, you can relax in the morning or explore the surrounding area, knowing the wind will kick in like clock work for the early afternoon. 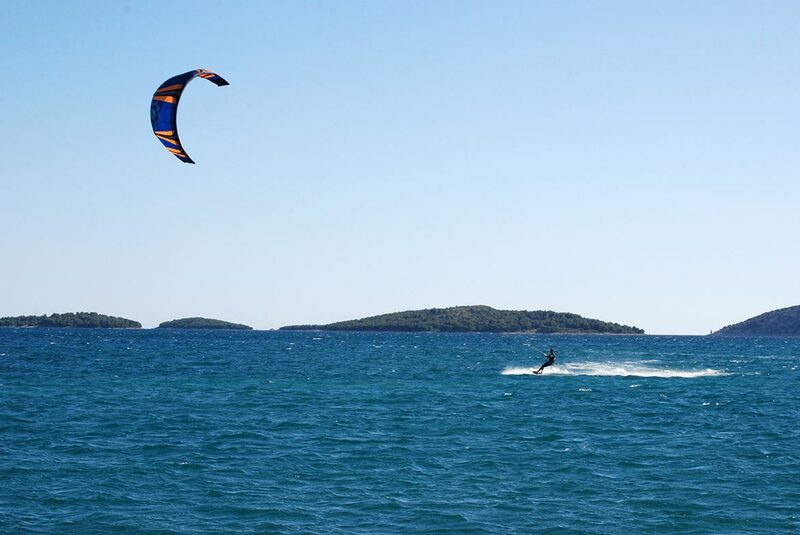 As tides don’t really exist in Montenegro you can start kiting whenever the wind kicks in. Due to the warm water, wet-suits are not really necessary in the summer. Some kilometers downwind there is a river mouth with perfect flat water. All the freestylers among you will find the perfect conditions over there to improve your skills.